A to Z best Packers and Movers in Dubai has been serving people for almost more than ten years via our packer mover services in the United Arab Emirates for the hassle-free move in Dubai. 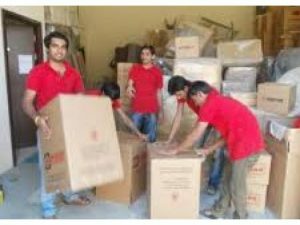 A to Z best movers and packers In Dubai is one of the best packers and movers company of Dubai and we serve people of Dubai and Dubai city via our higher in quality home shifting and office relocation services. We provide the packer mover services in multiple areas and these are household goods relocation, storage & warehousing, commercial goods relocation, complete office moving, and vehicle transportation, In A to Z best movers and packers in Dubai we aim for 100% tension-free, hassle-free packer movers services with guarantee of safety and security of moving. Our services cover complete Dubai. We are the national pioneer of a door to door services and relocation program for household and office goods relocation and storage & warehousing services with the backing of the best corporate clients of Dubai and U.A.E. Moving and packing from one place to another is not an easy target because it may be very tedious and difficult process also distressful experience. 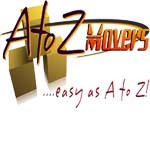 A to Z best movers and packers in Dubai excel in minimizing your stress and to provide you seamless relocation. We have an organized approach and an expert team of a skilled workforce for safe transportation. Our reputation is built on the fact that how we actually deliver the packing and moving services, storage & warehousing service in Dubai, household goods relocation service in Dubai, Local Movers and packers in Dubai on time. A to Z best Movers and packers in Dubai ranks amongst the best moving companies in Dubai known for outstanding home relocation services by providing packing and moving services. We are one of the reliable and reputed firms offering packing and moving services in Dubai. We are expert in packing, loading, unloading and unpacking your valuable commercial goods or household items. Contact us at 055-6821424 for booking any time for your hassle-free move.